Bluboo recently launched their first two smartphones for the Philippine market. One of them is the Bluboo S8. By the looks and name of it, the Bluboo S8 is obviously inspired from Samsung's Galaxy S8 flagship. It also has pretty good overall specs and set of features for a handset with a starting price of just PHP 6,999. Having said that, this handset has the potential to be the new must consider stylish budget smartphone. Here's our unboxing and first impressions of the Bluboo S8! Disclaimer: This unit was borrowed from Bluboo Philippines for our honest take. 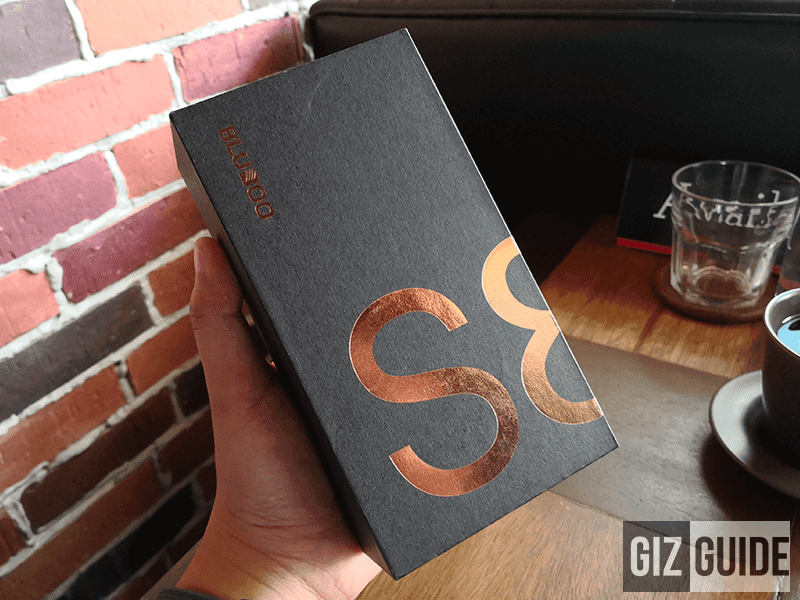 The box and the way Bluboo presented their own "S8" is superb and kinda premium for the price. It arrived in a sleek black box with nice print of the name of the phone ala Samsung. What's inside is even better! 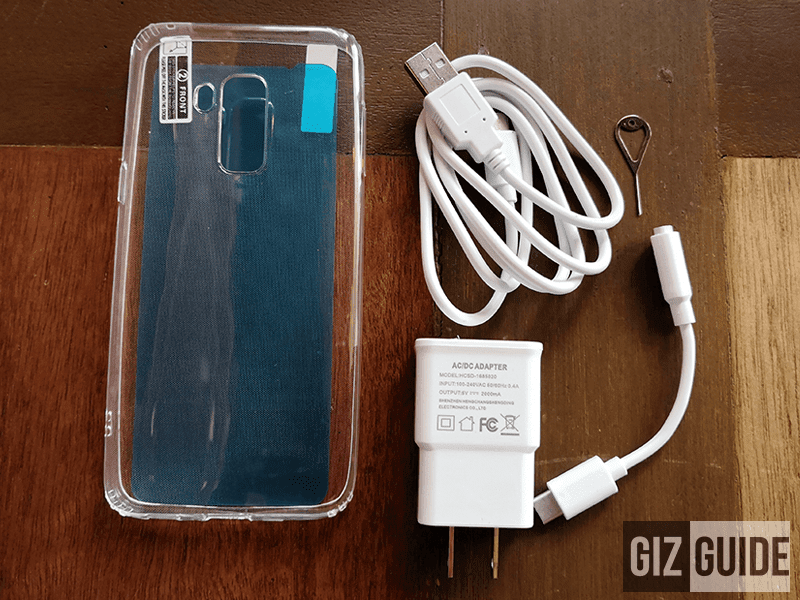 It goes with the 2A USB wall charger, USB Type-C cable, USB Type-C to 3.5 mm headphone dongle, clear TPU case, screen protector with bluelight filter, SIM ejector tool, and paper documentations. The craftsmanship of this handset is great for the price, the metal they used is hefty. But, don't expect it to be as premium and refined versus the flagship phone that it is copying. Its chamfered edges feels a bit sharper than what I personally liked. It's probably the only smartphone at this price range with sleek metal and curved glass-like sandwich design though. It even has Gorilla Glass 4 protection on top of the 2.5D curved screen. In terms of design, the Bluboo S8 is like the child of Galaxy S8 and Galaxy A8 (2018). 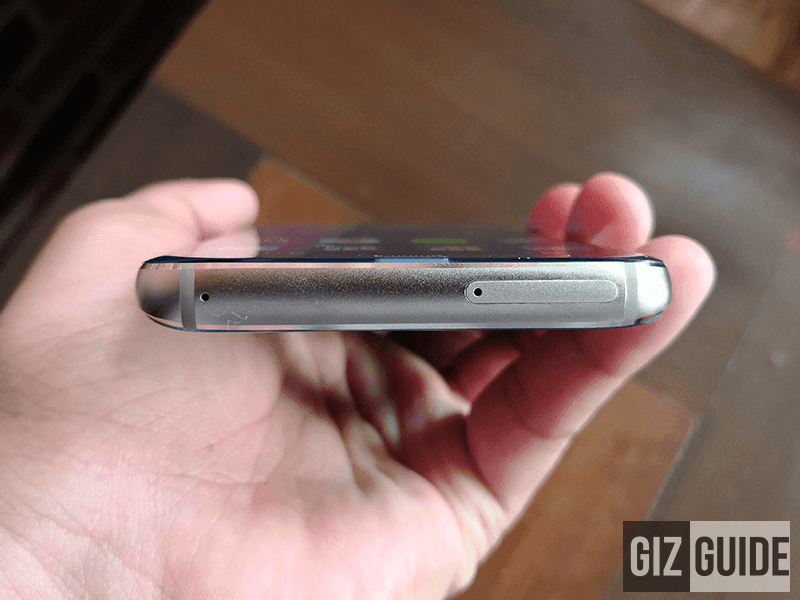 Its curves and glass reminds us of the Galaxy S8, but its correct fingerprint scanner in the middle of the back is like what you'll see with the Galaxy A8 (2018). Bezels are slim, but it has black borders all around the screen. 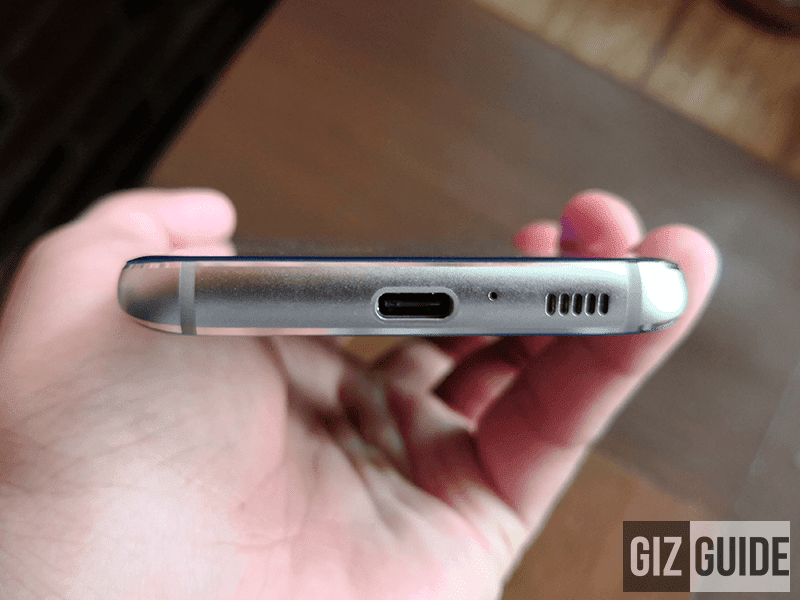 Galaxy S8 / A8 hybrid! Thickness of the phone is alright. But, it feels bulkier than its 8.4 mm listed thiness. It also has a slight camera bump. It is prone to fingerprint smudges as well. Ergonomically, the phone is almost great to hold. It has the correct size for that's usable for one-handed operation and the familiar button and ports placements. Unfortunately, its kinda sharp edges are a bit annoying in hands if you won't use the free case included in the package. It tried to have the premium look on a budget. However, it could be gaudy for nitpicky individuals. 1. Build and design of the phone is almost great. 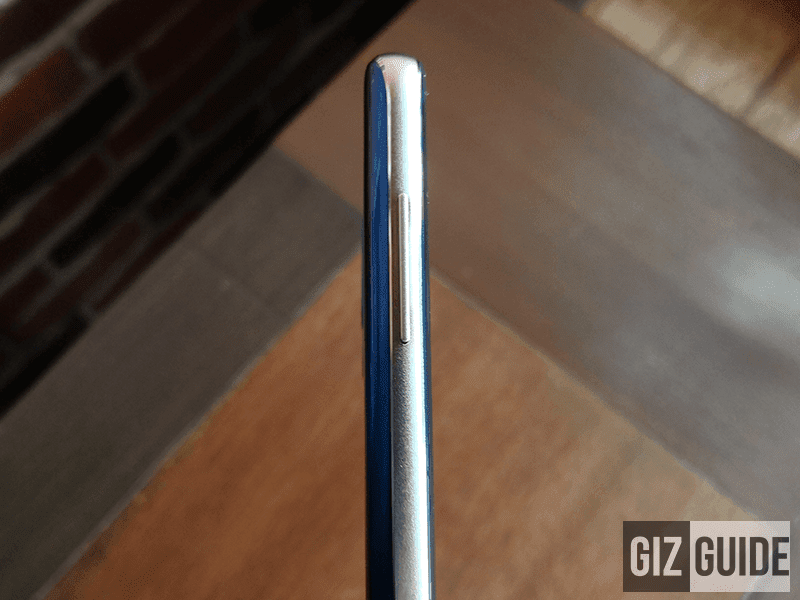 It has solid build and pretty stylish shiny glass-like back material. I wished that Bluboo made its more refined a bit. It has no dedicated 3.5 mm headphone jack as well. The 18:9 HD+ screen that it has looks pretty decent. There are black side bezels though. 2. The specs of this handset is quite high! It's the cheapest with 1.5GHz 64-bit MT6750T octa-core processor in the country today. Bluboo even coupled it with 3GB RAM, 32GB storage, and enough 3,450mAh battery with fast charging. It even has LTE Cat 6 connectivity. 3. The handset loads with Android 7.0 OS out of the box. It has a skin that reminds us of Cherry Mobile's Cherry OS. It looks pretty clean and feature-rich. 4. At the back, this phone comes with a 16MP + 3MP f/2.0 "dual cameras" w/ PDAF and dual tone LED flash. AF is fast and it shoots "okayish" photos in daylight. 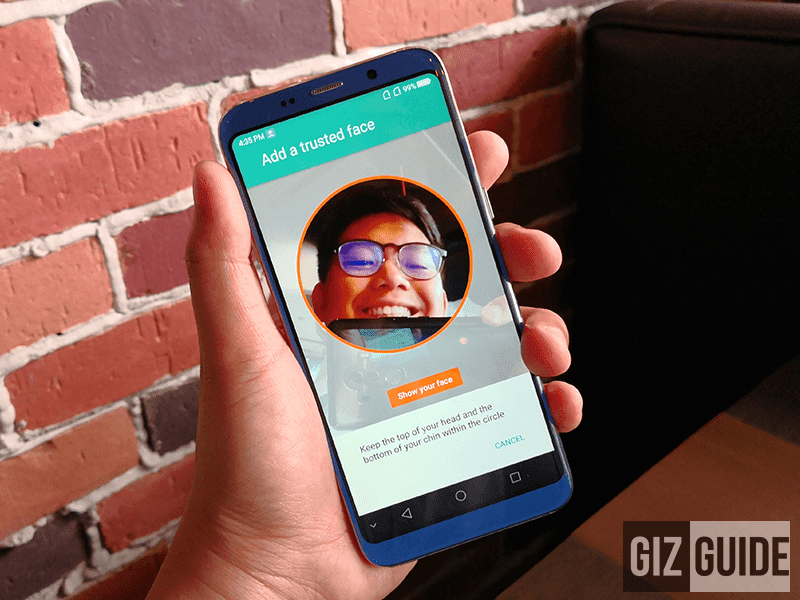 For selfies it has an 8MP f/2.0 selfie camera that has decent lowlight performance. It has no screen flash though. 5. 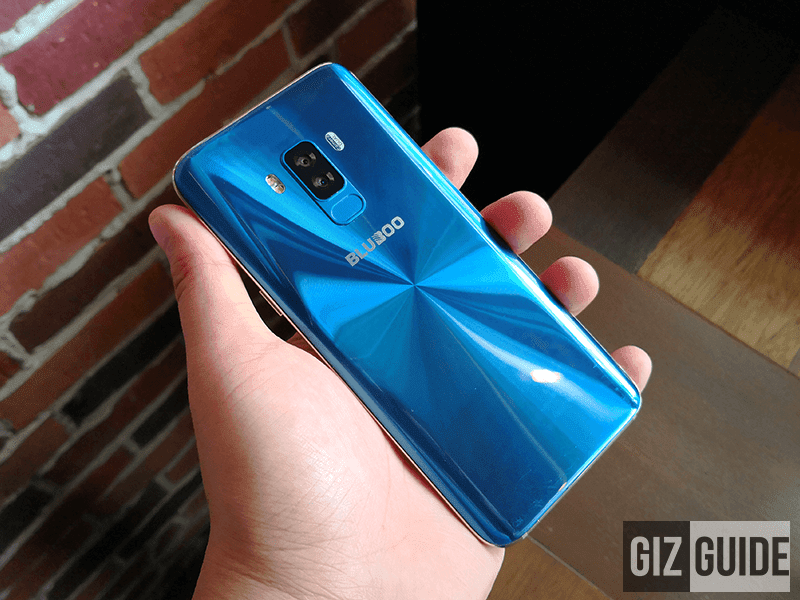 Bluboo S8's fingerprint scanner is decent in speed, has a hidden face unlock feature too (just don't expect it to work that fast), LED notification, and USB OTG mode. The Bluboo S8 looks pretty good in general for the price! We like that it has one of the most stylish build for the price. The specs is decent as a whole too. So far, it has some noticable flaws though. It is still considered as great, but don't expect it to perform as good as it is on paper.